There are endless details to be considered when planning a party or special event. Planning, coordinating and making all of the arrangements are often stressful, costly, and time-consuming. Whether you are planning a corporate event or a private party, your time and energy are better spent focusing on your attendees and event goals. The most successful advertising, promotional, marketing, and many corporate companies know that event planning and coordinating services are imperative to realizing the party or event as they envision it. 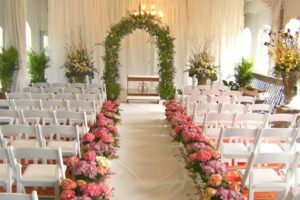 Elias Events will produce a unique and carefully thought-out proposal designed to meet and exceed your needs for the event. Do you need fresh ideas? Are you looking for a unique theme? Elias Events will help you develop a theme and event concept that will surely “wow” your guests. This is the crucial part to keep your guests talking about the event long after it is over. Past the development of the theme and concept of the event, Elias Events will work through all planning stages of the event to produce a turn-key event. Event by Vivid will work with all the vendors, including venue, to ensure that the contract meets the requirements established for the event. Let us put to good use our excellent negotiating skills.